Can I Void my Warranty? Friendly and knowledgeable on the phone! Best pricing in the country by far, my new mufflers we’re on my doorstep in Southern Ontario in 3 days! Don’t bother looking anywhere else, these folks are the best! This was the fastest delivery of items, the right items. They fit as advertised and when I needed help, they were on the phone calling me back with the answers I needed. So impressed with this company and will be ordering all my parts from them, don't waste your time with other companies shipping wrong parts or poor customer service. 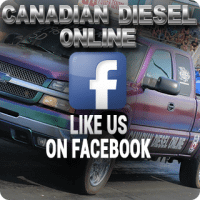 Just use Canadian diesel online. Thank you. Ordered a 5” flo pro stainless turbo back for my 6.7 Cummins. Best price, and free shipping to my doorstep! You will not beat they’re prices! Or service! Outstanding customer service!!! Sales representative went above and beyond to help me get the product I needed and shipped to me in the US. I could not be more impressed with Canadian Diesel's commitment to meeting their customer's needs. Customer Service is incredible, ordered tunes for my truck and they are available at very convenient hours. Amazing customer service from day one! Graham and Jamie go above and beyond!! 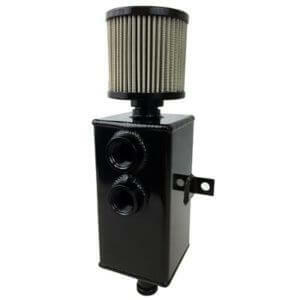 they always pickup the phone, reply to emails and will get you what you need to keep your truck running! 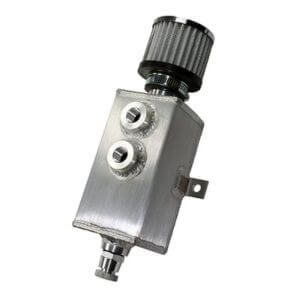 they should be your first and only stop if you are tuning your truck or need anything to put on it!!!!! This is a great company to deal with, always extremely helpful and very professional, also willing to spend the time with the customers for any questions. I have dealt with this company numerous times and my experience has been amazing every single time, I would highly recommend this company!!! Service was definitely five star! Even though I was shopping online on a Sunday I was able to get an almost immediate response to a query. Part was ordered and delivered to Ontario within a few days. They were very accommodating to our shipping needs. Very impressed. Awesome company, great pricing, great service, fast shipping, reliable customer support.Have spent a lot of money with them and plan to spend more. Service was fantastic as was the user friendly web page. I had specific questions and had to call them and spoke to Graham. He was knowledgeable and friendly which is what will be bringing me back to them in the future. Great job guys and thank you. Great company to deal with, Graham really knows his stuff and any questions I had after the sale were answered right away!! Good prices and excellent customer service. Super fast shipping and smooth transaction. Highly recommended..
Great place to go for all your tuning and diesel needs with above and beyond customer service will deal here again and again. Great company to deal with. Jamie goes far beyond what it required to make a customer happy and there knowledge of aftermarket products and tuning is simply amazing. I highly recommend these guys !!!???????? Enter your email below to receive the latest news and offers. © 2019 Canadian Diesel Online. All Rights Reserved. Not responsible for errors or omissions anywhere on this website . 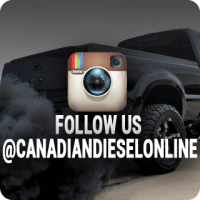 Canadian Diesel Online reserves right to modify, change or cancel any offer before, during and/or after any sale or transaction.